Husna Pasha has a few strings to her bow. She’s produced her own stage show, been the subject of an ABC documentary and hosted Channel 10’s The Project. This is her first in the food world. 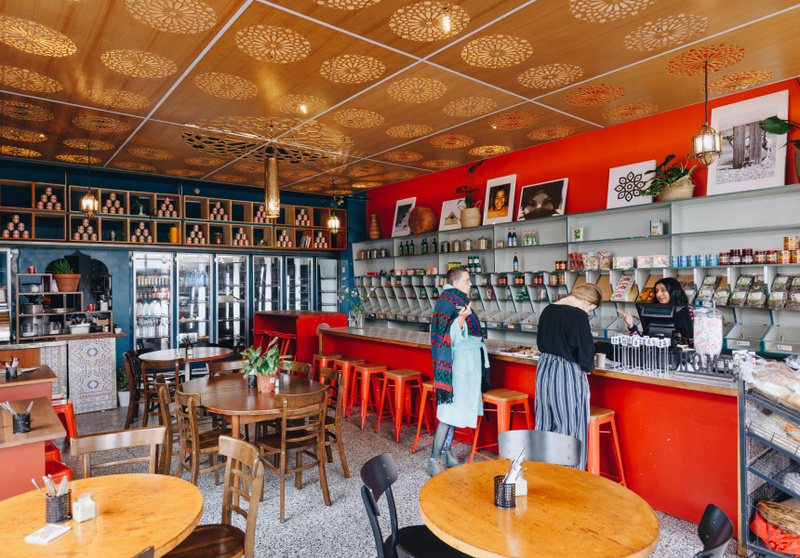 Pasha took the reigns of Brunswick East’s Moroccan Deli-cacy from friend Hana Assafiri, also the owner of Fitzroy’s Moroccan Soup Bar. Together the pair helped run the community-centric venue’s famous Speed Date a Muslim nights. When Assafiri called Pasha to ask whether she’d be interested in taking over the site, Pasha couldn’t say no. 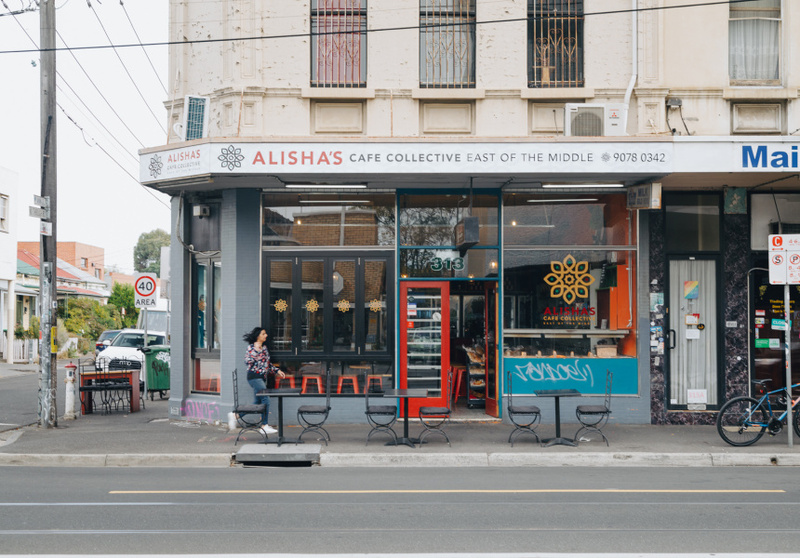 The venue has been renamed to Alisha's Cafe Collective; “Alisha” is a portmanteau of Aliyah and Shahan, the names of Pasha’s children with husband and co-owner Nicolas Rangasamy-Shakeel. Other than the name nothing has changed drastically. The menu’s Legacy Burger has a Moroccan-spiced veggie patty, tomato relish, haloumi and rocket on a brioche bun. The rest of the menu is plant-based, and most dishes are inspired by Rangasamy-Shakeel and Pasha’s Mauritian and Indian heritage, respectively. 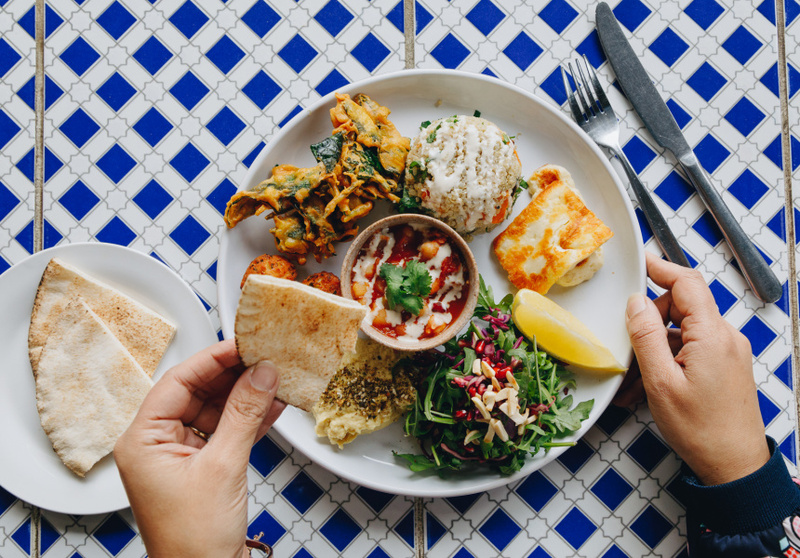 The Middle of the East plate consists of turmeric hummus, Mauritian falafel, roasted veggies, pita bread and house-made dukkah. The East of the Middle plate comes with pilaf, dhal, spiced yoghurt and fried cauliflower. The multi-use space hosts yoga, meditation sessions, cooking workshops and private functions. Movie and documentary nights, at which punters can eat and drink while reclining in beanbags, also run. A portion of the cafe’s profits is donated to a charity nominated by the community and presented at monthly events.